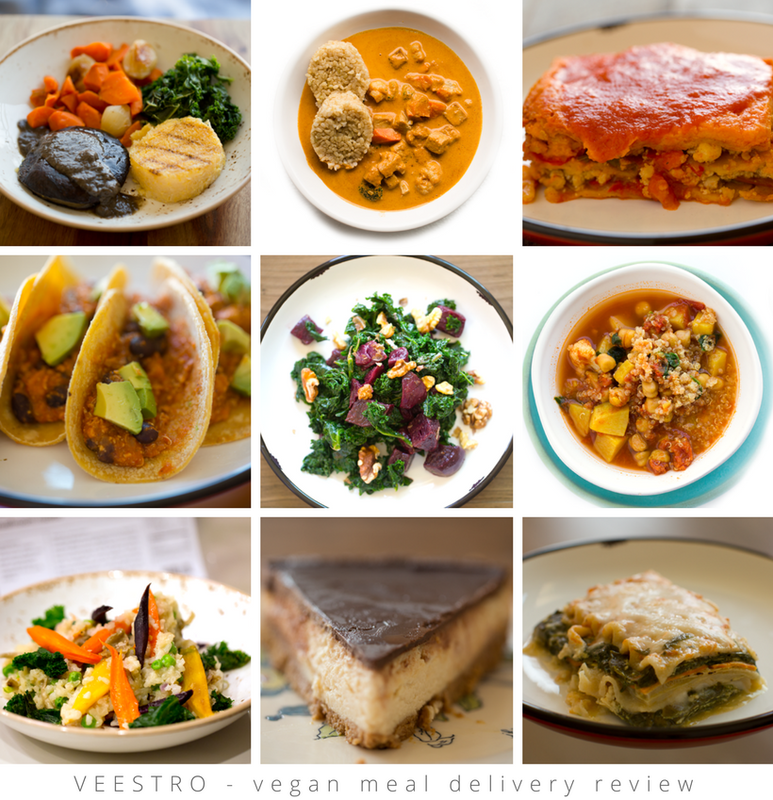 A while back I gave the plant-based meal delivery program Veestro a test run for a review. I loved their company and their delicious meals. So I was excited when they came to me and asked if I wanted to collaborate on a custom Veestro meal! 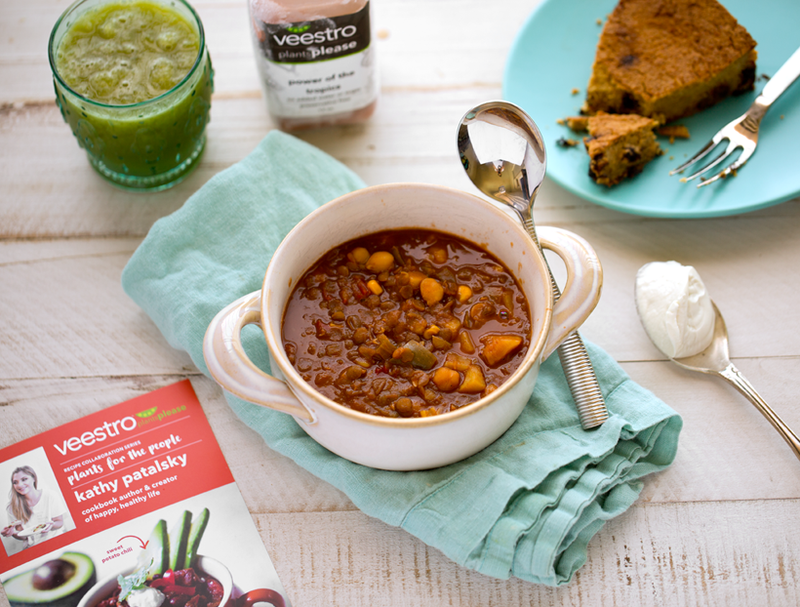 During the month of June only, you can order my vegan Sweet Potato Chili directly from Veestro! It comes delivered to your doorstep, just heat, eat and sit back and relax. Info on my chili, a giveaway, promo code to try Veestro and more ahead.. 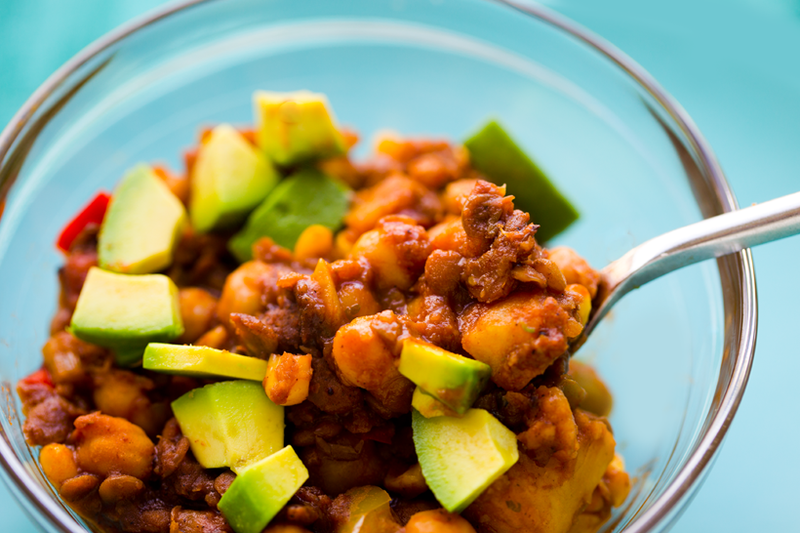 I added some diced avocado on top for color and added flavor - and more healthy fats! 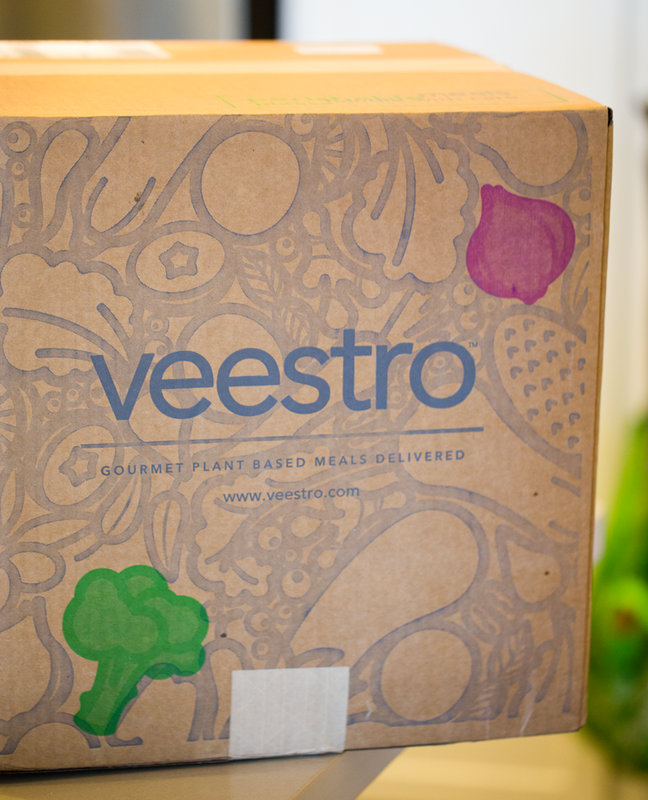 A Veestro box on your doorstep is a very happy thing!.. I sampled my chili as well as some juices and the new cookie pie dessert which was so good! The cookie pie is even loaded with healthy ingredients like oats and beans - and chocolate of course..
My recipe, with a few Veestro modifications, delivered to your doorstep!.. I actually didn't get a really good photo of the cookie pie, but it was SO good! 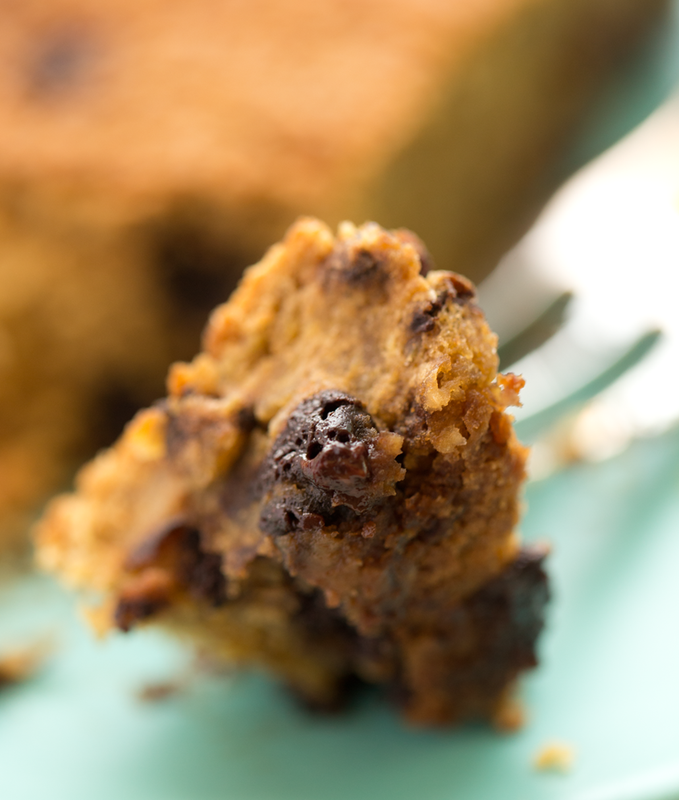 Moist and tender like cookie dough, only filled with healthy ingredients. 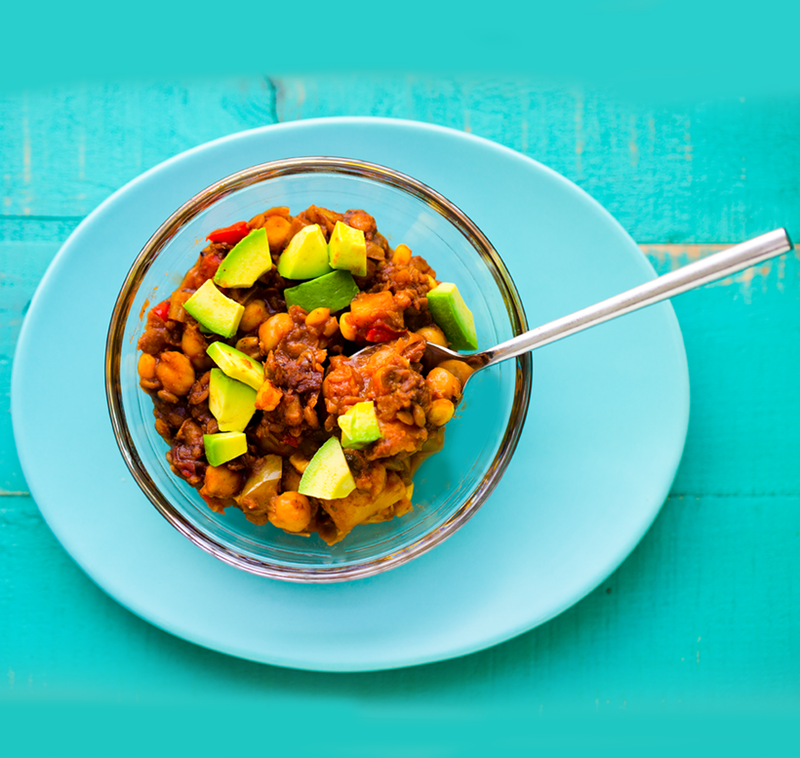 Sweet Potato Chili. My chili recipe comes from this original recipe I posted a few years ago. I loved that recipe so much because it was a true meal in a bowl - so it was perfect as a Veestro meal! 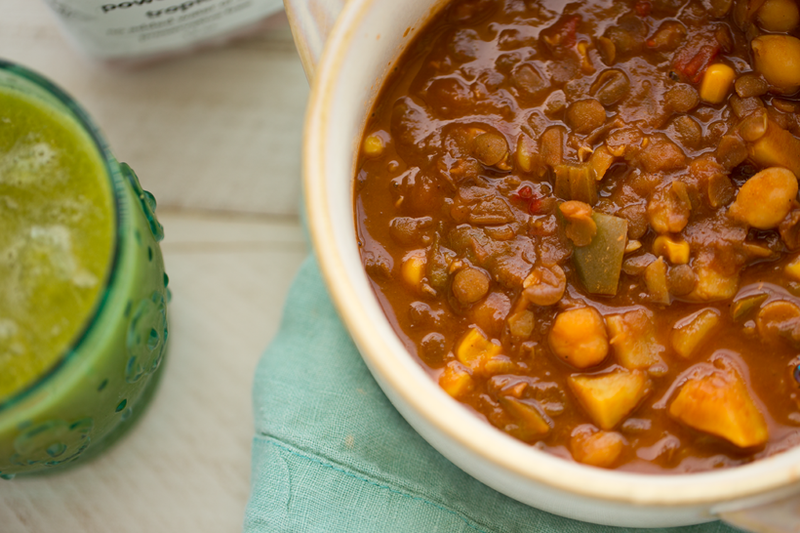 Tender sweet potatoes, hearty beans and lentils and plenty of smoky-sweet-spicy flavor. 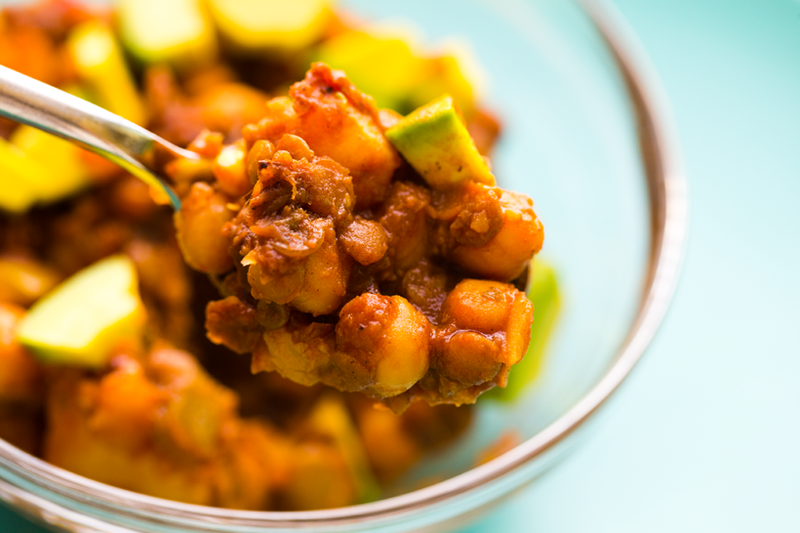 This chili is very mildly spicy, just enough to warm you up. You could always add in a few pinches of cayenne for more heat. 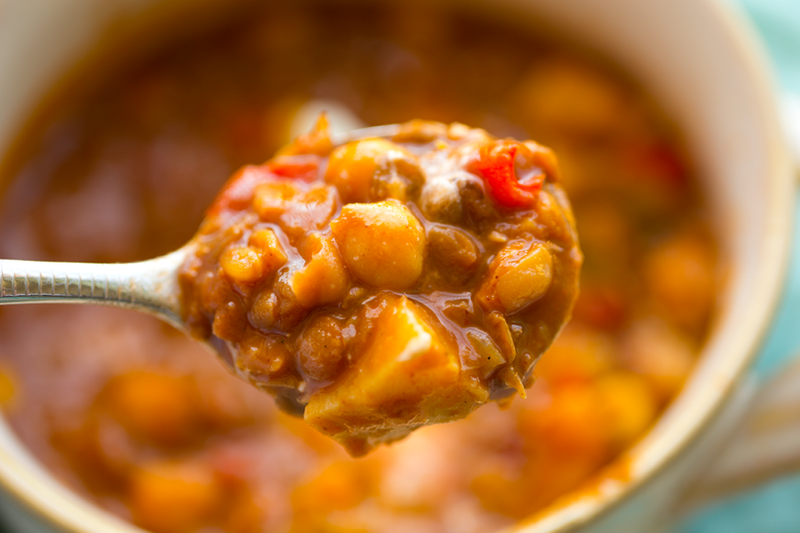 The Veestro version uses white sweet potatoes and chickpeas and lots of hearty lentils. It has nice chunks of bell peppers, celery, onion and corn. It has chili powder and a hint of chocolate for that rich and warming "chili" flavor. I really loved the cozy, warming flavor! Perfect for an easy lunch or light dinner. Or pair it with a Veestro salad (I loved the kale + beet) for a heartier meal. How to Cook the Chili: I had two frozen chilis to try and I microwaved one and used my stovetop for the other. The microwaved version was warming and delicious, but a bit more like a very thick stew than a chili because the microwave retains more moisture, so it becomes thinner in texture. But the flavor was still superb. Cooking the next chili on my stovetop gave my chili a much thicker texture, something I crave from a chili. It all depends what you want and how much time you have. I also noticed that cooking the chili on my stovetop darkened the colors a bit more into a deeper red color, which I really liked. Microwaved prep is a bit a thinner texture, more like a thick stew. But still so flavorful and warming. 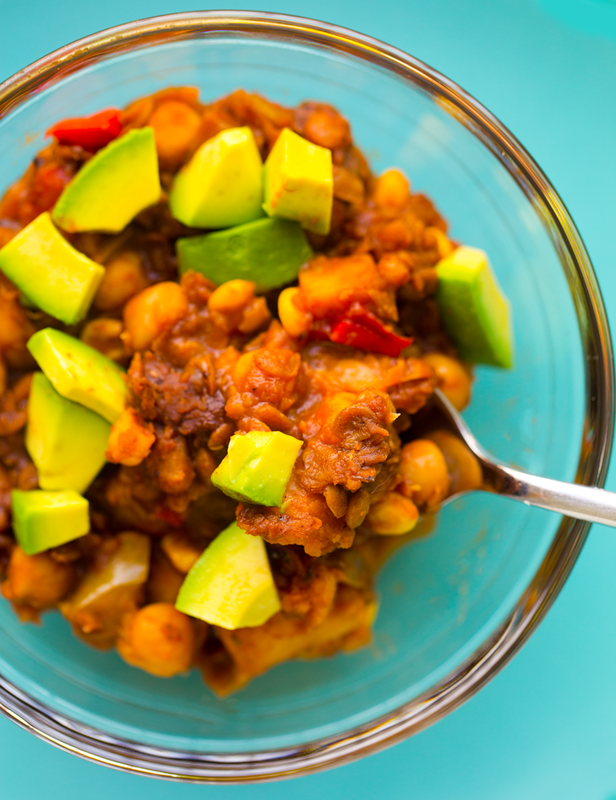 Stovetop preparation, thick and chunky chili, loaded with veggies and legumes..
My Review. 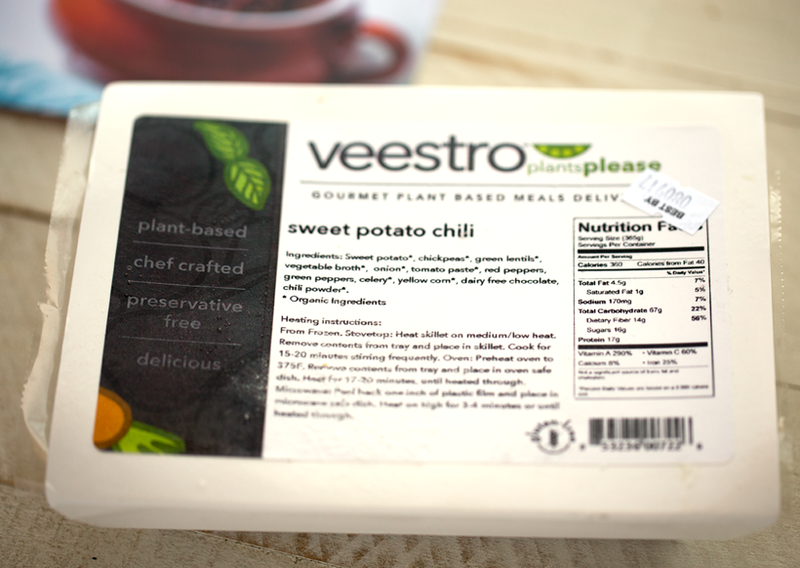 Overall I was so impressed with how Veestro turned my home-cooked recipe into a ready-to-go frozen entree, rich with hearty ingredients and so much flavor. I love that this entree is truly a complete meal because it have veggies, legumes, protein, carbs, fiber and healthy fats. I like to add fresh avocado and maybe some vegan sour cream or mayo to serve. A slice of cornbread on the side would be perfection! The best part about Veestro is that their meals really do taste like homemade dishes because they use the freshest ingredients, do not use preservatives and the best part - Veestro owners, Mark and Monica, truly put a whole lot of love into their company and their meals show that! 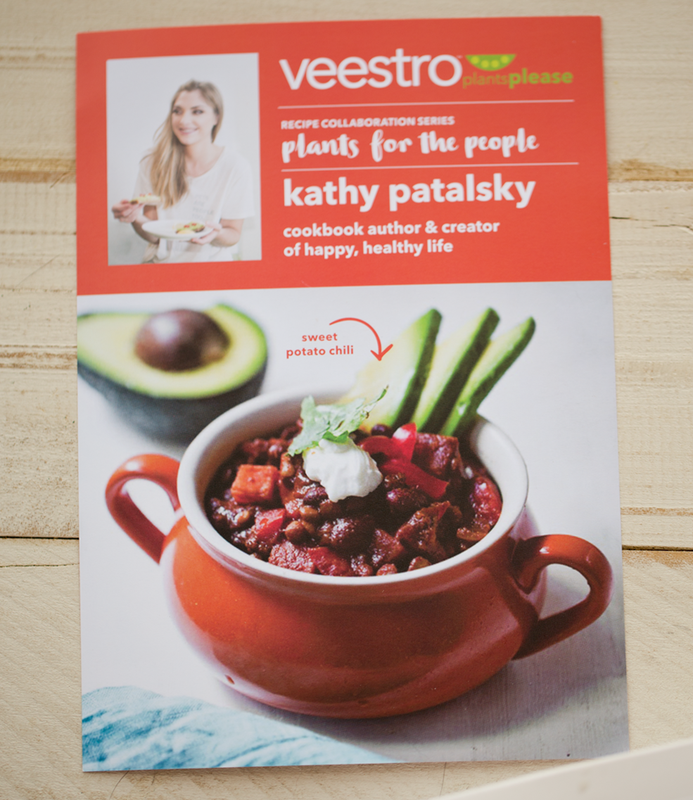 So if you are curious about Veestro and want to try my Sweet Potato Chili recipe - you can order here, but don't wait because it will only be offered in the month of June, which is quickly passing by! Try Veestro with 20% off. Use code HAPPYLIFE to get 20% your Veestro order. Enter the 21-Day Kickstart giveaway below, ends in one week! $229 value - includes dry ice shipping! Facebook Live! And if you are on Facebook, be sure to tune into the Veestro Facebook Live this Friday, June 23rd, 12:30 PST. I will be cooking/blending something! I am nervous/excited because this will be my first FB Live broadcast ever. Hope you can tune in, say hi and thank you!! Any questions, ask away! Be sure to check out the Veestro website if you are curious about a convenient way to add more plants to your life! Browse the meals and also check out my detailed review with my favorite meals. My Veestro 21-Day review video..